Thousands crossed the finish line at the 123rd Boston Marathon on Monday. For many the journey to that finish line comes with plenty of obstacles, one Northern Michigan man included. Otsego County native Matthew Chaffee loves to race, but he didn’t find his passion until an accident changed his life forever. “I basically was just going way to fast and I lost control on the corner. There was a little bit of gravel and I just slid off the corner and slammed into an embankment, shattered my T8 vertebrae,” Matthew Chaffee, said. In 2014 a motorcycle crash took away Matthew Chaffee’s ability to walk. After spending weeks in the ICU and then months at Mary Free Bed Rehabilitation Hospital in Grand Rapids, he moved in with his brother Adam. “We grew up together always doing everything together and we had actually planned on living together,” Matthew, explained. But less than a year later the unthinkable happened, again. “From the date of my accident to the date of my brother’s accident it was 8 months total,” Matthew, said. “It was at a lake house and I was on a dock. I went to dive in and somebody pushed me, I just went straight down into the water,” Adam Chaffee, explained. Adam broke his neck, leaving him paralyzed. “Now we both have spinal cord injuries so we understand each other on a really deep level,” Matthew, added. With unrelenting support the two continued their recovery, together. 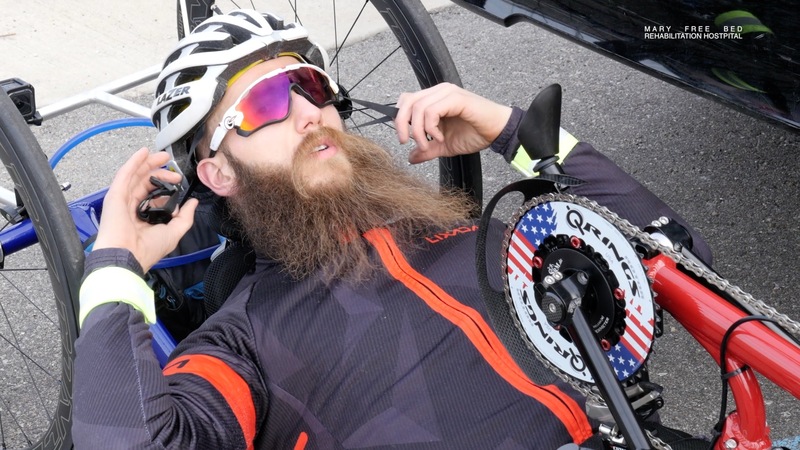 For Matthew, recovery at Mary Freed Bed led to elite-level success in a new sport, handcycling. The past few years have been all about getting better and of course faster. Fast enough to place fourth at in the Men’s Handcycles division in this year’s Boston Marathon. “It’s overwhelming to know he did so well. They are amazing children, they’ve always had a very positive attitude,” Mother Carol Chaffee, said. “Just because you have a spinal cord injury or any kind of injury, you don’t have to give up. It changes your life but you don’t have to give up. It might not be the path you had planned originally but you can still do great things,” Carol, added. And on the Chaffee path, the next great thing is just around the corner. “My ultimate goal is to go to 2020 Paralympics,” Matthew, said.